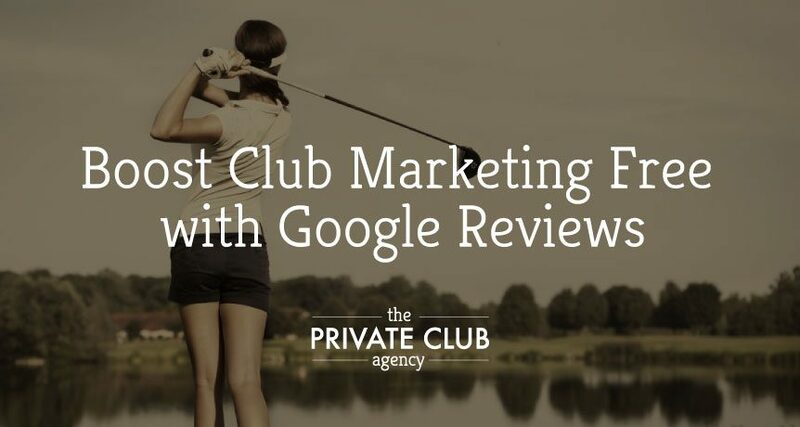 Every private club or resort should have a Google Reviews marketing strategy in place. It’s probably the most powerful free marketing tool you have at your fingertips. I’ve put together a set of best practices videos on how you can best utilize Google Reviews and Google Map Results in your marketing plan. When I first started my marketing agency, I had many clients ask me, “how can I get to the top of Google?” or “how can I improve my website’s SEO?” I always suggested creating great content in the form of a blog or news section and finding other websites to link to you. These were the top ways to build your SEO naturally over time, along with a few other improvements. Today, however, it’s more simple than ever. Google has given preference to its own map results. Often these, results are above any paid ads or natural results. Here’s an article where I explain this incredible gift Google has given us, in further detail. The video below outlines this super simple strategy for private club marketing that’s 100% free. Have you ever got that sinking feeling when you read a bad review of your club? There’s nothing like than a 1 star or 2 star review to really ruin your day. It’s detrimental to your club’s reputation and hurt your other private club marketing efforts. Our agency suggests addressing and responding to every negative review that’s left online. But what should you do if the reviewer is way out of line, or you don’t want to get into a shouting match online? This video will show you an easy way to combat your negative reviews. Google reviews can also be used to show potential members why your club is the best choice. I recommend looking at your competition’s bad reviews and turn those negatives into positives for your club. I lay out the super simple strategy in the video below. Each week I drop a new video on how to better market your private club, hotel or resort. Click here to subscribe and get notified when new content is available.